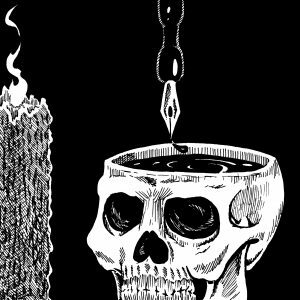 Burnt myself out again, happens often when I write, so regular blog entries for the Rats of Tanglethorn will resume next week. I am working hard to complete the current books on my plate but the going is slow. I’m also trying to put together an art portfolio which I will put into print as well. Meanwhile, there is a little write-up on Dice & Glory titled Dice & Glory! Have You Heard of Ranger Games Publishing, from Neal Litherland. While you’re there check out his other posts and blogs on literature, fantasy, and roleplaying games. Read it here – Dice & Glory! Have You Heard of Ranger Games Publishing? Rats of Tanglethorn Pt.6: Oh My Captain! 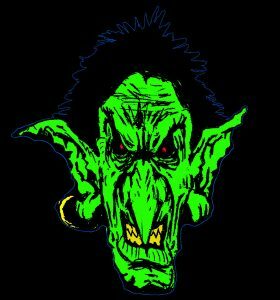 Come sun up, Afheesh (played by me) was feeling good still from the strange green glowing liquor from last night. For that reason he strutted down the wide street on his way to meet his two compatriots in front of the Yellow Lotus Inn where Pabst (played by Jenn) had room. He rounded the southwest corner of Mezcor’s black-stone keep when he spotted a full regiment of guards hauling away a pair of prisoners down the wide boulevard eastward. Afheesh was in the middle of smirking to himself, “amateu…” until he realized the two prisoners were Pabst and Wufcor (played by Isis). An experienced city captain was leading the group of 16 guards, his lieutenant was to his right holding up and inspecting a glittering medallion. Afheesh recognized the polished gold medallion as that previously worn by Phenox, an acolyte of the Brotherhood of the Green Well, who they collectively murdered and decapitated for a bounty. The greying, scarred old captain adjusted his belt. Afheesh was at a loss but was curious how this was going to play out. Afheesh thought a little about the situation. He gazed back at his colleagues. Afheesh puffed out his chest and proudly marched alongside the captain and the guard as they completed their circuit. When the company reached the main city gate just southeast of the Green Well, Afheesh was sent for outfitting while the prisoners were tried in the training yard. The ratling met with one Sergeant Neek whom issued him his kit. He was given a beaten-up wood buckler, a dull bronze skullcap, a short spear fit for his size, and a dirty brown cape fit for his size bearing the thorn ring symbol in black. Pay was 100 bronze thorns (bt) at the end of each 7-day but actually 85 in coin since 5 are for Mezcor and 10 are for taxes. In response, the sergeant just puffed derisively and motioned for him to hurry. In Tanglethorn, the execution of criminals often involves tying them to a tree far outside city thorn-barrier. Typically, something comes along in the Poisonwood that eats and/or kills them soon after abandonment. About an hour later, Afheesh, in his full guardsman outfit, followed the group of guards as they transported the two prisoners along a barely visible road through the Poisonwood. The two criminals had been stripped naked and were stumbling barefooted through the spiny, spiked, and thorny autumnal waste. They were being dragged behind a strong-wagon by chains and manacles, consequently their feet bloodied and covered in pale thistle burrs and bull thorns. The wagon was plated in thick bronze plates iron-riveted to the heavy wood frame. Razor-sharp spikes lined its bottom edges and covered its roof; the driver enclosed by chainmail netting. Afheesh kept an eagle eye on Wufcor as the company reached an area of thick dull green overgrowth. Suddenly, a large green seedpod emerged from over the bushes and a long purplish spike shot from it lodging in the neck of an unfortunate human rookie guard. Hence, he was sucked dry in almost an instant. So, Afheesh immediately launched himself at the creature slashing it to death with his paired hook-guard daggers. Another previously unseen plant monster emerged and swung a seedpod fist at the ratling but missed. A hard wooden seed shot into the ground narrowly missing Wufcor from yet another plant monster as it emerged from cover. Another creature emerged and stabbed at Pabst with its purple tongue but it missed. Another tongue from yet another creature darted at Afheesh but he easily avoided. The guards were in full combat against a fair number of these plant monsters, three monsters and five guards were killed in the first minute of fighting. Another tongue stabbed at Afheesh as he dropped a second plant creature. As the fighting began to die down he could see that only seven guards remained and but two monsters still stood. He immediately leapt at and dropped another monster. Both armies are at a standoff across the field of battle, bright banners flap in the slight breeze, the noon sun glints from the gleaming razor tips of spears and the blades of swords and axes. The dread war-engines vibrate the ground as they’re wheeled into position. Catapults, ballistae, and scorpions are readied. The shouts of the sergeants echo up and down the opposing lines and the frontlines begin advancing towards each other. Suddenly, choruses of hideous roars tear the skies as a group of dragon-riders surge from the horizon swooping over one side and laying waste to the other. Soldiers desperately try to protect themselves with their tower shields and spears in small bristling testudoes. The earth begins to shake beneath the soldiers’ feet frightening the flanks on both sides loosening their formations. The opposing side, victims of the dragon-riders, opens its middle and a tight cluster of stone golems thunder towards the armored heart of their foe. As the golems crush their way into the enemy’s ranks, the dragons peel off and strafe the stone monsters with fire barely slowing them down. The warriors of each army crash together in a wave of blood and iron their champions leading. A small squad from the dragon-riders’ side engages the golems with a barrage of acid grenades forged by a mercenary alchemist. Both charging sides meet and the momentum breaks like a wave of blood with the deafening clash of steel and shrieks of dying men. From this blood tide, the champions emerge finally meeting in the middle of the chaos and duel to the death for their respective side and causes. Fireballs and lightning called down from the heavens by war-wizards at the rear ranks of both armies add to the deafening cacophony. Just then, another smaller cadre of dragons darts into the fray above to engage the enemy dragons. The new comers are less in number but with them comes an enormous blue-black dragon complete with a small crew of riders on his back armed with crossbows, lances, alchemical grenades, and other nasty droppers. The sky darkens with smoke, fire blasts, arrows, and large projectiles as the battlefield spreads from horizon to horizon. It is total chaos, this battle will be devastating and lay waste the battlefield and most of the surrounding territory which may lay fallow for at least a century after. It’s also cool looking and really gives the Player Characters (PCs) and the Game-Master (GM) multiple opportunities to shine. The Fantasy Battlefield is a spectacle to behold and its aftermath a tragedy to mourn. It provides the opportunity for the full exercise of strategic thinking, high drama, and innovation. As well as providing potentially spectacular set pieces for the GM. In a fantasy setting, when war occurs it is probable a scene very much like that described above will play out with only the scale varying. That is because if one side is able to obtain a special and powerful weapon the other side, if it has a competent intelligence network, will find out about it before the fighting. Thus, they will rush to enact countermeasures and try to get their hands on either the same type of weapon or anything else of a similar power level. Of course, this will cause an arms race if the other side is equal in espionage. In addition, if actual world history is any evidence when a weapon or strategic advantage becomes available, it will be used even if just once. In the very least, all the contemporary powers will seek it out vigorously. There are many reasons to implement large battles and carry out war in a fantasy roleplaying game despite the complications to the Game-Master and the possibility of loss on the Player-Characters’ side of things. War in game terms is a storyline drawn from a series of confrontations including from the political and not just the combat side involving at least two opposing powers. Within this blob of mass confrontations and tangle of story lines is Mass Combat. Mass Combat is more a technical term to describe mechanics that come into play during instances of combat between at least two large masses of characters. During Mass Combat military units (groups of individuals, typically faceless mook type NPCs) engage in combat where the PCs act as champions or sometimes as complete units unto themselves. Note that Mass Combat mechanics may not be included in some game systems and those that do will vary greatly in how they function. Therefore, any direct or specific mechanical references will be avoided and more general terms and ideas will be favored in this article. With the basic mechanical ideas of Mass Combat and Combat Units GMs can begin to construct the spectacle of fantasy warfare. 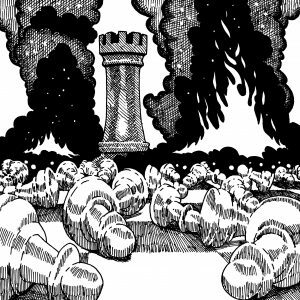 As stated before a battlefield, especially if the battle is a big one, is a remarkable sight when gleaming armies face off not to mention when the fantasy elements come into play adding even more spectacle to the fray. These elements are the true fireworks that really make the set piece unique often involving any one of the Big Four by themselves or in combination. 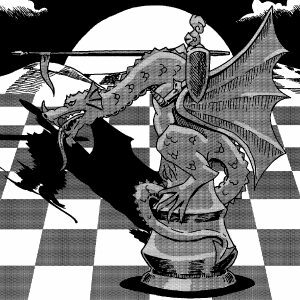 The Big Four refers to the four major weapons on the field of fantasy warfare: dragons/dragon-riders, golems/constructs, wizards/magic-users, and the undead. Dragons/Dragon-Riders are the super weapon on the field whether they themselves are conscripts, generals, or mounts with a rider or crew. They are a game changer on the field and prompt all sorts of countermeasures and strategies. Golems/Constructs are another super-weapon but one that is most useful against enemy ranks and walls. They are very difficult to obtain and may actually be harder than dragons to get. Golems are more equipment or war-machine than soldier and used thus. On the other hand, Spell-casters on the field can implement any number of weird and highly powerful strategies using a wide array of magical abilities. These are the easiest of the four to obtain typically serving a mercenary or allied role though they may have their own reasons for joining an army on the march. Spell slinging against the opposite side and summoning forth new and terrible foes for the enemy is their primary battlefield strategy. They can also double as espionage and information gathering agents through their magical abilities. Secondary roles depend on the spell caster’s repertoire such as any healing abilities allowing the mage to run battlefield triage. The last of the big four are the undead. These often being a part of certain forces popularly considered evil or the full ranks of certain villain types like dark lords, liches, and powerful necromancers. Undead forces typically consist of reanimated corpses or skeletons that can function on the battlefield as warriors and with the ability to take at least simple commands. However, they are often of a weaker type of undead and thus are somewhat weaker than the average soldier is. The primary strategy of such units is always to overwhelm with numbers and rely on the relentlessness of the undead as they never fatigue or tire. The average leader of one of these units is usually a stronger type of undead though often not of an exceptional level. However, Priests or Paladins (holy warriors) that have certain powers that directly counter undead creatures are a common element that opposes these types of units. They are usually also a part of worlds where these types of creatures run common as a form of universal balance. Logistics for an undead force are somewhat simplified as they do not get fatigued, they will not starve or die of thirst, and inclement weather has to be severe in order to stall or endanger them. However, in a snowstorm they can freeze solid if they have flesh. Under a hot sun or in dank humid weather, their flesh can rot from their bones. These concerns can make certain types of undead such as zombies less of a threat under specific weather conditions. Local resistance may be easily directed against a force of undead moving through specific areas. This includes certain religious forces that may have no real interest in the ongoing struggle other than to vanquish the walking blasphemy of the undead. Disease is also a concern when dealing with a diverse army that consists of living and dead forces, as is the predation of the dead upon the living. In addition, those unfortunate enough to be in the way of that force’s path whether allied or not might suffer or die without necessarily being a direct target. The Big Four are by no means the only exceptional things on the fantasy battlefield. There are also the humanoid powerhouses, which seem on the surface to be more appropriate as powerful soldiery or heavy infantry. This would include such creatures as orcs, trolls, ogres, giants, among others. These may be easier to recruit and maybe to maintain than the Big Four but they would primarily be soldiers and may have certain restrictions imposed on them depending on the setting. Aside from the usual Dark Lord, they may be completely unavailable due to the darkness of their monstrous hearts and even blacker souls (again depending on the setting). These are not included in the Big Four as they are definitely a remarkable sight but they function much as standard soldiery with perhaps ballistic capability like a hybrid field piece (i.e. giants). Along with the powerhouse-humanoids on the fields of fantasy combat are the unconventional technology and strategies inspired by actual history and that produced by alchemy. Alchemy is the formulation and creation of certain meta-magical substances through a means that is a mix between modern chemistry and ancient mysticism, a lesser form of magic. The products that alchemy can produce aside from its historical focus on converting lead to gold can be useful on the battlefield though they would be expensive and in short supply. Alchemical substances such as napalm, phosphorous, fumes (gases), acids, naphtha, and black powder are especially of note. If an army is using even one of these as ammunition, they would require the alchemist(s) to tag along and replace spent ammo and to consult on countermeasures against enemy alchemical warfare. Note that alchemical ammunition could be jars, pots, or glass bulbs filled with chemicals launched from catapults even small clay-vessel grenades. Alchemy only requires an alchemist and raw materials to produce the items and substances required by the commander. The alchemists themselves may or may not be mages depending on the system although typically mages will also have the ability to create these substances as well. These alchemists cannot only create gases, acids, napalm, and alchemical grenades but may also produce chemicals and drugs that could conceivably create alchemical super-soldiers by enhancing the common soldiery. However, this sort of strategy always comes with inherent risk and severe costs. These costs inherent to alchemically enhanced soldiers being such things as drastically shortened lives, the risk of berserk units going on uncontrollable rampages, and even weirder effects such as soldiers just spontaneously combusting. Magical mutation and random transformations are also a possible side effect. Alchemists may also produce drugs that have very similar effects to those found in the real world and whose side effects only become noticeable in the long term sometimes long after the combat is over (for example: the German Military in WWII). This brings us to black powder. Black powder in a medieval context would most likely be in the forms of low yield bombs or grenades. Explosives would be the domain of sappers and those seeking to undermine enemy fortifications. More advanced approaches to gunpowder would be the use of primitive match-lit guns (probably hand-cannons and fire-lances) and cannons but these would be impossible to aim and run the risk of explosion. Not to mention they would be very expensive even if there were a skilled enough engineer/armorer that could forge an effective and safe artillery piece. However, monster-sized cannonry could be a shocking set piece for an epic siege; a historical example being the Dardanelles Gun. After massive bombards, rockets seem to be the next phase in technical superiority but again in a medieval setting if they exist then they will be expensive to produce and impossible to aim once fired. The main task would be to find the metalworker skilled enough to make the tube. These would be a fine counter to enemy dragons but the risk of explosion at ignition might balance that advantage to a certain extent. The forms of these rockets would range from fire arrows to the top technical achievement of iron-cased rockets. Given the ability to carry an alchemical payload, they could be more effective than those found in actual ancient history. Heavy reliance on alchemical munitions and/or potions adds an alchemist and his entourage plus mobile equipment and laboratory to the logistics. Their wagon and any additional supply vehicles would become targets and the expense to maintain the alchemist’s mobile lab and supplies would be significant. However, do not discount the inventiveness of ancient unconventional warfare. Poisoned arrows, scorpions & poisonous snakes in large clay vessels or diseased corpses launched by catapult, warbeasts like elephants, and psychological attacks (severed heads of prisoners catapulted over city walls) increase battlefield options and are inspired by history. Just note that these tactics are a supplement to conventional warfare and tactics, not replacements. With alchemists featuring on the field of fantasy warfare, clockwork and steam power warrant some discussion. Clockwork technology requires a power source (springs are possible for smaller clockwork), which could be magical but would also require advanced math for the engineering, tools, and skills to construct the parts. Similarly, steam technology would require a heat source and the storage capacity of the water required and the steam as well as well as the plumbing and knowledge of the pressures involved. Again, expensive, accidental explosions are possible, and an advanced knowledge of engineering is required for large enough engines, jets, etc. to be viable engines of war. These limits do make it a rarity in medieval settings and more fit for Victorian era or even renaissance set campaigns but this type of technology can be possible with magic-users just not on an industrial level. The power source is probably magic or draconic in nature so still magic or at least relying on a magical power source to produce steam or electricity in order to make the machinery parts function. Making steam and larger clockwork weapons and vehicles the purview of hybrid spell casters, those that somehow have a solid knowledge of certain sciences like physics, math, and engineering as well as arcane ability. This fact alone probably makes them a rarity in any world where science and magic do not exist together in equal portion. Steam-tech and clockwork make lower tech versions of modern weapons and vehicles possible such as tanks, cannons, and rockets – maybe even robot-like constructs but below the level of the Golem Army; steam powered war chariots, steam cannons, steam jets or even certain aircraft such as blimps or hot air balloons. All even in limited or singular quantity would be invaluable to a battlefield commander. Note that hot air balloons may be more in reach than the other examples. This type of magical technology is not only out of place in a medieval battlefield but would be a massive surge forward in technology even if the source may be magical/alchemical. The apparatus and machinery operating on the steam from the source requires expert engineering and a high level of metalworking and forging. Essentially, the friendly neighborhood blacksmith and even armorer will not have the skill, knowledge, nor tools available to craft the highly engineered parts required not to mention the skills to design them. Powers acquiring such war-tech will make those with the skills and ability to create such things of extremely high value both as targets and as assets even if they are unwilling. Once this type of technology rolls out onto the battlefield the culture itself would go into violent convulsions and types of confrontations not possible before may become commonplace such as rebellions among the peasantry and merchant classes, religious organizations that may hold vast wealth obtaining such technology, nobility being supplanted by technocracy, etc. What is sure is that if the technology is not “lost” in some fashion it will propagate and irreversibly alter your world in a few decades. The other drawback is that a lone engineer, wizard, or alchemist probably will not have the skills, power, and resources to create more than a single clockwork or steam-powered type weapon which even though very valuable as a secret weapon or weapon of terror is very little use as a true weapon of war. This would also make them extremely expensive as well as requiring the development of certain resources to occur before they are even a possibility. The reasons to include war in your worlds and campaigns is manifold, the few mentioned previously in other parts of this series are the main benefits that apply to the GM and the PCs. There are diegetic reasons however; these are the reasons war might spring up organically due to conditions and elements in the fantasy world itself. The first is Good vs. Evil (GvE) of course true battles between to the two forces means that the campaign world exists in a Manichean universe. However, this GvE struggle does not have to be actual just the participants have to believe that they are the good guys and their opponents the bad. Another prime motive for war is piratical. War solely for the purpose of the plunder and glory it will yield regardless of the price. Unscrupulous warriors, commanders, and politicians may want to participate just for the shear thrill and fun. This reason for war is reliant mostly on the greed of the participants but includes other more emotional motives not laser focused on one goal but harnessed in order to fuel the war effort. War for profit and land is similar to the piratical reasons though with intentions to settle, occupy, or otherwise take ownership of them against the indigenous peoples’ will transforms piratical aims into Conquest. Another goal in this vein may be to secure a stream of revenue or eliminate a penalty (i.e. tax/tariff) on your goods exported to the targeted lands this being known as Imperialism. These last two, Conquest and Imperialism, can get a little dicey when roleplaying through them especially when sorting through the justifications for such but the role-play drama potential is also very high. In addition, in medieval settings war for the securing of power and/or eliminating the competition may erupt frequently. Similarly, civil wars or wars of ascension may occur in large scale within or between certain countries. Smaller wars could breakout between nobility as well for any of the previously stated reasons including wars of pure ego and even ritualistic war. Religiously motivated war is also a factor especially where there is an entrenched religious power. Religion can add an ugly side to any war regardless of the reasons and motivations behind it but certain religious powers may also ignite wars for purely religious reasons. These may be to convert nonbelievers or eliminate them or to combat a rival religious power. This is especially true when it comes to Crusades. All of these, if not initially, tend to feature or evolve to include strong profit motives very similar to piratical warfare but this cause can rapidly evolve into something even more insidious when philosophy becomes ideology in order to justify it. Aside from the opportunity for strategy and high drama, there are other values to the GM of Fantasy Warfare in their campaigns. Set piece battles can give the events a sense of increasing scale and put the PCs through a trial by fire. They can also allow the PCs to be innovative and allow them to think strategically. To bring in a sense of scale a GM should begin with standard medieval style battles and gradually move towards the high fantasy by gradually adding the fantasy elements as they increase in scope. This elevates a standard battle scene making each new fight a bigger spectacle especially if there have been previous battle scenes, it gives the GM a place to go that still elevates the action. It also grounds the action before it starts to become fantastical. To do this a GM needs to start gritty and small making the ruin of the post-battle field evident early on. Then escalate with increasing numbers and ever more present and inventive war engines and have known and beloved NPCs die in the fighting to heighten drama and the sense of risk. Bring in the surprise elements of high fantasy (the Big Four) as the twist in the bigger battles and build the suspense of what will appear on the field for the next. By this time, the risk to valued NPCs should be evident, the stakes should be high to match the massive spectacle, and the Players by now should be able to fill in the devastation built on the vivid pictures of the comparatively smaller tragedies. The larger battles including the final one can as set pieces widen the scope of the game world. They can deepen the souls of its characters through trial by fire with those burnt suffering the deepest test of their characters. This intensity should come in the later/last battles. However, all battles should inspire some sort of innovation on the part of the PCs. They could use their skills and character knowledge/powers to invent new modes of war or defense. The PCs should at least try to strategize and think about their resources. They may need to seek out new resources or gather their existent monies to finance invention maybe built on plans that they have cultivated. Speaking of Players and their characters, why wouldn’t a warring faction have need of them? Are not reputed adventurers themselves a sort of weapon, though often unpredictable, on the battlefield that can swing the fortunes of war on a whim? PCs should be assumed to be heading an army or allied much like individual magic-users. They may be a part of the army because they have similar interests or other secret motives. A small unit of famous adventurers is probably more valuable as a scouting unit, recruiters, espionage unit, and/or flank guards for important command units in the rear or middle ranks. Adventurers that are not valued or are being mishandled can find themselves in the front ranks as skirmishers. Nevertheless, if the PCs are not in any command positions then wide scale battle simply turns into a nerve-racking bore with a mindless hackfest to follow. Granted the group can maneuver on the field to hit what they see as relevant targets in the course of the battle possibly bringing some attention to themselves. This proving themselves on the field may warrant a promotion to better positions later. When implementing fantasy warfare in your games keep in mind the implications of fantastical munitions, weapons, warbeasts, and the arms race it can spark. Do not forget historical ancient unconventional warfare either. Also, learn the major strategies and logistics involved in the Big Four or any special units that will be involved and give the PCs plenty of opportunity to be affected by and to affect the outcome including when they are on the losing side. Though the in-game political climate and economic reasons may contribute to the cause of war, the primary motivations for powers to engage in it are often limited to fighting “evil”, for plunder, or conquest/imperialism. The fantasy tropes of the battlefield (the Big Four) have their strengths and weaknesses though their advantages may outweigh their burdens vastly. It seems the best countermeasure against an enemy with even one of these heavy hitters at their disposal is to get one of your own. Essentially if one side has a good enough intelligence network or if they suffer a single defeat at the feet of one to these super-weapons then they will desperately seek to not only sabotage and undermine their enemy’s efforts but begin their own to match force for force. This can be interesting in that it will set off a magic medieval arms race; a very interesting prospect indeed. The GM can use war to enhance their fantasy campaign by using it in escalating portions, induce player innovation, and as a set piece in the campaign to put exclamation marks at the desired points. According to my brief and shallow research on the subject, just about half of campaigns incorporate Mass Combat and warfare at least some of the time. Maybe it is time for more GMs and their groups to explore the gaming potential of fantasy warfare. The siege-lines stand expectantly the earthworks finished and the bulwarks fully manned. The walls of the small stone fortress stand tall against them though surrounded by the enemy’s vastly superior force. For now all there is is time to wait, to wait for a breach in the walls or main gates should the enemy sappers be successful or for those within to starve if her constable were ill prepared. Suddenly without warning several fireballs streak from between the crenelations at the top of the curtain walls blasting the carefully built lines into a confused screaming mass of rubble and fire. The castle’s wizard has only just begun. Wizards, or more generically mages, are another major issue on the fantasy battlefield to take into account when thinking about mass combat in RPGs. Since the early days of fantasy Wargaming, wizards have been included as valuable and powerful combat units though mainly as artillery pieces dressed in robes. 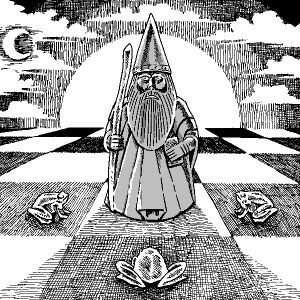 As roleplaying-games advanced so did the magical powers of the wizard making them very powerful units on the battlefield and in support roles. They have always been a feature of the fantasy arena of war. However, the popular fantasy archetype has appeared the antithesis of this. Popularly wizards (mages in general) in archetypal terms appear as very old men with long beards or young boys or girls that are as skilled as their rank of apprentice would imply. However, a mage at their peak of physical ability, say late teens to early 60’s maybe older depending on the setting, would actively seek out powers to align with often simply to advance their material needs. After all, magic is often an expensive endeavor even though you may be practicing it for purely personal reasons. In times of war, a mage might seek out or make overtures to a political power also out of selfish aims. In addition, serving a powerful leader may be the fast track for high ambitions. In the most basic of terms, a wizard or mage is a magic user. That is they can cast spells and wield magic in the game. Depending on the game system you are using the details (especially the names) may vary wildly. However, for the purposes of this article Wizards are magic-users meaning that they are capable of casting spells. Similarly, for the limits of this piece, magic is the wielding of supernatural power unexplainable via the natural world or science in any direct terms and is separate from religion. Any game related additions to this are simply not considered since the number of game rule systems out there is innumerable. So when it comes to magic and spells these will be discussed in general terms getting as specific as one can without relying on specific sets of rules or even direct abstract guidelines (i.e. : Power, Focus, Effect, etc.). The main concern is how the presence of a wizard alters the course of mass combat in a setting in a medieval type environment/world. This essay will also assume certain points about wizards/mages to be true which are they can manipulate magic to a much higher degree than non-mages, they are generally physically more fragile than their fighter/soldier counterparts, and magic-users are generally reservoirs of esoteric or rare knowledge. The war wizard is also more of a Swiss army knife as compared to such super-weapons as dragon mounts or golems. They can fulfill more roles on the battlefield and in combat situations than just possessing greater firepower. Deployed onto the battlefield, wizards can serve three basic military functions. These functions are as artillery, logistics operative, and battlefield intelligence. As mystic artillery, a wizard hurls down spell fire onto the heads of the enemy. Spell fire being embodied by such effects and actions as hurling fireballs, calling down lightning and thunder, disintegrating specific targets as well as blasting enemy troops with wind, fire, water, ice, and light. Spell fire is the wizard’s specialty and possibly the most traditional role that they can play. Once deployed into action however, a wizard serving as a living artillery piece is vulnerable to all of the dangers of the battlefield. Due to their frailness, this deployment strategy is unwise. Their low physicality is a definite liability on the field. The mage may even have protective spells or items on their person to make them more resistant in battle. However, if the enemy has any other supernatural weaponry or such technology as alchemy or clockwork (a la steampunk) available they may be able to take the mage out quite easily. As magic-users are physically weaker than even a mundane peasant is, they may need fitting transportation such as a carriage or comfortable wagon. They will require spell components and possibly a lot of preparation time along with a sufficient salary to both prepare and for services rendered making them somewhat expensive for the war effort. Nevertheless, Wizards may be at their most dangerous when behind walls and atop battlements and bulwarks. Here, they have the best protection from projectiles and opposing spell fire as well as gaining high ground advantages and a better view of the entire field. This is especially evident when a mage is at the top of a tower, a very archetypal place for them to be. The location most advantageous to a wizard is one protected and allowing for a wide range of view. This maximizes their potential, so having a wizard defending a fortress is the best default for a war mage. Spell casters are also masters of military logistics due to their abilities of teleportation, weather control, summoning, and healing. Not all mages will have all of these abilities available at once but having even one of these at their disposal is a godsend to a military commander. When it comes to teleportation, teleporting even small squads behind enemy lines or enemy fortifications are highly useful in making sabotage runs and night raids to weaken opposing positions. Even if this is limited to the teleportation of an individual, then teleporting messengers back and forth to improve the communications network is top priority. Having the superior communication network is a prime concern of any army and the wider and faster it can relay messages the better reaction time to any action the enemy takes. Weather control is also indispensable since surprise fog banks can stall the enemy and grant cover to your forces for surprise attacks. Bad weather can stall out and even decimate enemy troops and encampments (think the Russian winter of 1812 and Napoleon). Even the manipulation of the weather in relatively small areas can have an immense impact such as clearing out a small patch of the battlefield for a special squad, for targeting, or causing a flashflood by concentrating rain in a small area further away thereby creating a nasty surprise disaster for the enemy. Clearing up bad weather can also speed an advance along even in the dead of winter. Summoning monsters or additional forces even squads of mundane but vicious animals is of great use in surprise and harassment operations and on the immediate battlefield to help shore up the flanks, fortify weak spots in formations, or increase the momentum of a push against enemy lines. Healing is not really an archetypal ability associated with wizards but they do have that potential. That is if they have access to healing magic then they can restore limbs, heal broken bones, or nearly fatal injuries thus helping to restore wounded soldiers to their units at a much faster pace than normal and reduce permanent casualties. In this capacity, they can also control disease, which can break out in battlefield triage facilities very easily as well as controlling infections that make wounds and battlefield surgeries so dangerous. Again, this reduces casualties, increases turnaround, and prevents the breaking of the war machine by plague. The wizard in this capacity can also provide potions that can do much of this though on an individual basis helping to protect those of high rank and value without their presence being necessary allowing the mage to be active elsewhere. The mystical abilities of scrying, sending out supernatural spies, and magical sabotage make the wizard at war even more valuable in the military intelligence role. Scrying, the visualization of actual events in a specific targeted area at a certain distance away, is invaluable for spying on the enemy and gathering intelligence as well as keeping an eye on your own troop movements. Witches of old were famed for using small vermin as spies, which allowed them to hear or see at a distance these usually being spiders, bats, or rats. Again, this is very useful for gaining intelligence. Likewise, a mage can also try to limit what an enemy caster can see and hear as well as trying to manipulate their spies not to mention the intentional dispersion of false information and visions. This role can extend to espionage as well having the mage use magic to not only transmit or disguise (maybe even scramble) information for varying purposes but also to make direct attempts at sabotage against the enemy. Mystical sabotage can take the forms of curses, inducing such things as falls or equipment failure, and sickening or killing beasts of burden as well as spoiling food supplies. This last fact alone should induce the enemy to hire on at least one wizard to help protect their forces and materiel against such long distance and devastating attacks versus which they may have no other effective defense. A role most mages fit into most naturally aside from intelligence and espionage when it comes to war is that of an active support unit. They can remain behind the lines or at least at camp and serve in a support role that still takes full advantage of their arcane skills and powers. Along these lines, a mage can provide some of the best protection available, magical protection. Mages can cast lingering magic that protects against damage from siege engines, provide charms against enemy spells, and protect against such battlefield hazards as fire even acid or lightning bolts. This includes raising certain arcane defenses like magical force fields and triggered spells such as a lightning bolt firing off at an incoming dragon or griffin mounted air-cavalry from a tower spire. This protective potential is probably most advantageous when used to protect or proof an important fortress. Encampments as well are potential wards of the protective wizard. A limited location that is typically fortified should be the focus of the protective role of the wizard. This includes mystical alarms and the ability to know when a perimeter, probably marked out by magic of course, is breached. 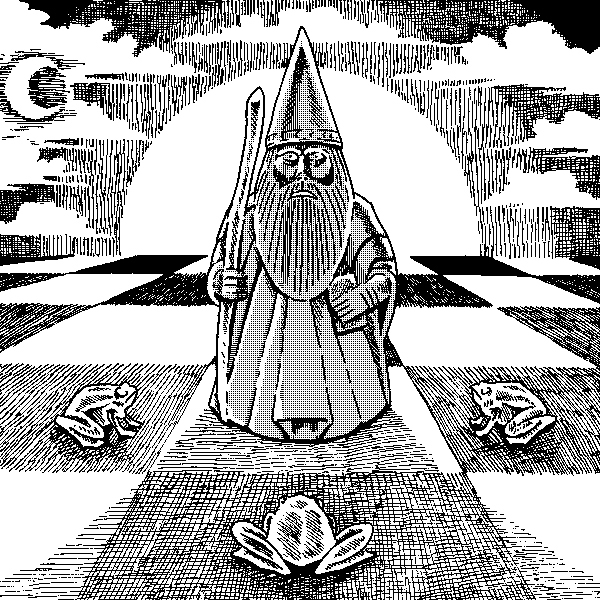 The communications role of wizards is exceptionally vital. Communications is the nervous system of the whole war machine, its central control, how commanders steer it. Orders could be relayed in a matter of seconds over distances that would take days or even weeks using normal means of communication. This also means that forces could not be effectively cut-off without the intervention of an opposing magic user thus building in sensitivity to enemy magicians. After all, if a part of your force suddenly goes dark and they possess arcane communication tools then an enemy wizard or other supernatural agent must be at work. Combining a wizard with mundane battlefield communications methods (trumpets, drums, flags, banners, etc.) can create a very advanced and reliable communication network almost rivaling the modern high tech versions maybe even surpassing them in some instances. Not only the fantasy equivalent of a tactical radio set mages also serve as vast reservoirs of knowledge especially about other fantastical weapons of note. This may include the know how to build them, find them, or more importantly counter-act and destroy them. In this capacity, they may rely on their mystical communication abilities to link up to a special task force of adventurers trusted with gaining intelligence about, obtaining, destroying, or delaying a special weapon such as dragon riders or golems. In this respect, the mage essentially serves as the adventurers’ quest coordinator or in a military liaison/spy master capacity. A certain type of mage bears discussion at this point, the necromancer. A necromancer is a magic user that can summon and speak to the spirits of the dead as well as manipulate and animate the dead sometimes able to even create undead creatures. 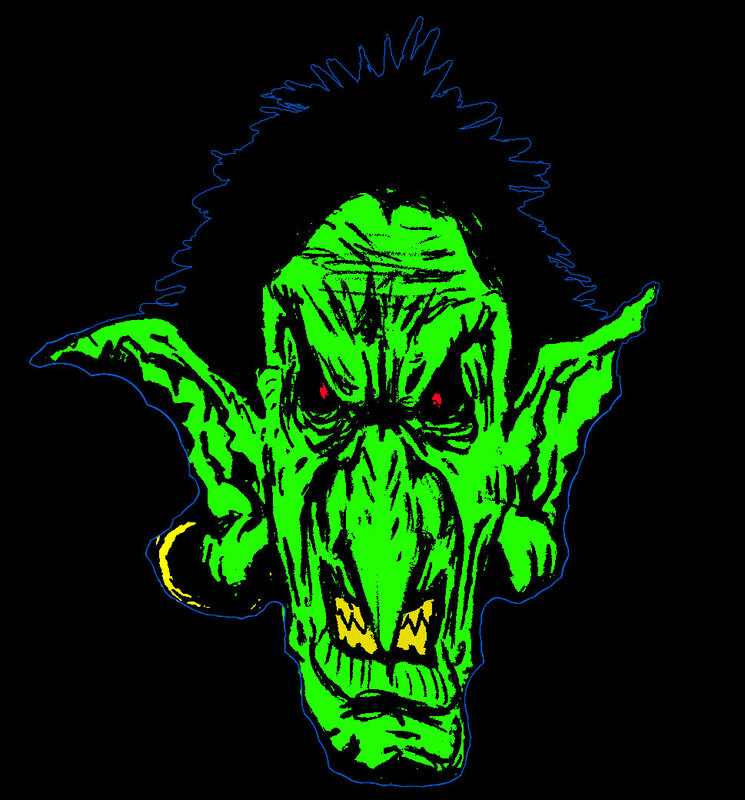 They also occasionally have the wretched ability of manipulating and creating disease as well as the dark energies that provide this kind of power. Necromancers can wage mystic bio-warfare, turn casualties into reinforcements, sap the will of the enemy to fight by weakening soldiers’ physical-ness or sickening them, and sending spirits to harass them at camp thereby denying them rest and peace of mind before a battle. Aside from being able to spread sickness and animate the dead necromancers can fulfill the intelligence aspect almost to a greater degree than most other wizards as traditionally they could summon and communicate with the spirits of the dead or at least speak with any corpses still capable of speech. The known presence of such a spell caster on the field may lead the enemy to mutilate their dead to prevent the corpses from speaking and take drastic measures like trapping their souls in jars or gems (maybe using a legendary item) to prevent their spirits from being summoned. This action is extreme, can be construed as evil, and may have unintended consequences such as the rendering of your soldiers to soulessness and the potential for them to rise again as uncontrolled undead after being slain. Even releasing their soul may leave behind a confused ghost that eternally searches the old battlefield looking for their long lost corpse. The bio-weapon aspect of necromancers, the spreading of disease even plague, is possibly the nastiest option in their dark armory. They could conceivably spread infection covertly amongst targets like cities and fortresses long before the conquering army gets there thereby weakening any resistance by vast degrees. It is a definite bonus if these diseases are magical and raise their victims from the dead as zombies or ghouls that the necromancer can control as well. However, that could get out of hand very quickly. In the same vein, the necromancer would need to provide their allies with an antigen to prevent their army from falling victim to the same sickness. Granted the allied army is not already an army of the dead that is. In the same dark box as the necromancer, there is yet another even more dangerous and notorious magic user, the Lich. Liches, that traditional archenemy of fantasy adventurers, can turn out to be a valuable asset for the side employing them, cautiously mind you, if they themselves are not the core of the enemy leadership anyway. Liches can head an army, even if small, of undead creatures, useful in and of itself. This undead force may be resistant to most mundane attacks. Such undead wizards may also have the power to fulfill most of the roles that a war wizard could, maybe even have the power to take on roles that would take more than one average wizard at a time. However, this legion of the undead may pose more of a hazard than an advantage and even may utterly devastate or contaminate the very lands you were hoping to conquer with dark energies. This is true whether the lich decides to stay loyal to any one side or not. They may very well turn on their allies in a heartbeat at the worst possible moment. Whenever a lich led army of the dead shows up on the battlefield, it is usually a very, very bad thing. Fret not, there are countermeasures to use against a wizard deployed onto the battlefield. The most obvious and easiest would be arrows and various missile weapons, which can target the mage from afar as well as those archers with exceptional skill that could act as snipers. Just like any soldier on the field an arrow can kill, maim, or at least disrupt a mage. However, note that a skilled wizard usually has some sort of defense already in place to defeat arrows and missile weapons. Of course, a good commander could try such things as leveling a ballista or catapult at them just to test their defenses. Barring arrow fire, protective magic and magic items can help to counter some of the enemy wizard’s spell fire and curses. This applies to spells that a mage for hire may have cast, those items that comprise a quest’s MacGuffin, or something that only a specific mage NPC can provide. Again, a side quest for PCs appears where they must seek out a wizard in order to obtain some protective items or one really rare artifact. Note also that items to protect non-player individuals are important as well. An example being certain officers having protective fetishes to ward off disease, spirits, or certain magic spells. However, the best option is to recruit (or conscript if possible) your own wizard who is hopefully just as if not more skilled and/or powerful than the opposition mage. Additionally, if you have the resources, hiring more than a single wizard is the best bet. The only things that can counter spell-casters on the field besides archers, magic, and other casters are units that can get real close real fast such as assassins or ranger-types and other magic-users or just very mobile warriors. It is in the prudent general’s best interest to have at least two of the previous in their ranks. This is another reason to keep a wizard in a protected area such as at the top of a parapet. Wizards have great potential despite their minimalist physicality on the fantasy battlefield. They are a powerful weapon, invaluable support unit, and indispensable intelligence provider. Their presence introduces complication into what can be a standard battle scenario. The opposition must respond in order to maintain the balance power (or terror in the case of necromancers and liches) on the field and even seek out mages as countermeasure against certain other ultimate weapons of the fantasy world. Even though they are fragile and perhaps even sickly, wizards are the most flexible of the mystical super-weapons of fantasy warfare and often come equipped with more character than a phalanx of golems, a flight of dragon-mounts, or a legion of the undead (hopefully). Brilliant war banners, strikingly colored flags waving in the wind, and fascinatingly designed symbols on the surcoats of warriors, which sometimes strangely define the character of the individual. Heraldry is more than just a splash of color or the addition of intriguing art; it can serve a deeper purpose within a roleplaying game. Heraldic devices and symbols can be a short hand for the nature and/or attitudes of groups and organizations, which can help with NPC characterization if an individual does not fit this mold or vice versa. Player Characters may strive to either earn or adopt imagery under which they can gain prestige and earn an easily recognized reputation. I use the basics of heraldry in my games to add some color. In addition, I take care to add in certain conventions and symbols native to the game world or region for which I am creating. I use Heraldry in my games because it seems to stick in the players’ heads without much effort on their part. It also provides some preliminary characterization on occasion and can communicate the symbols important to the culture of those using it adding to the world building. When Game-Mastering I use coats of arms to mark out organizations, locations such as towns and cities (seals), and individuals of note. I also use simplified versions on wax and clay seals and on signet rings, not just the colorful incarnations found on flags, shields, and surcoats. On maps and handouts, seals and flags can help to divide a map into political regions and distinguish the factions with an easily identified visual symbol that is easily digestible and easily confirmed. In the most basic of terms heraldry is the use of color, symbols, and decoration as distinguishment of identity. It is also an art and with that it carries with it tis own language which may be different for different cultures as in Armory (concerning the art and study of armorial bearings including its legalistic side). This symbolic art language is heraldry and the primary result is the coat of arms. Arms are emblazoned on Banners, Standards, Flags, Shields (shield emblems date at least from late roman times), Surcoats, Tabards, Pennants/Pennons, Sashimono, Nobori, Uma-jirushi, Hata-jirushi. The idea of heraldry may have evolved from the preferred designs or decoration conflated with certain individuals or militaries becoming their recognized insignia. There are some terms that used in this discussion, which are Shield, Field, and the names of the Partitions, Charge, Helm, and Motto. Field – The Field is the background element of the arms that is usually a solid color but can be partitioned. Partitions – The field partitioned in half, into quarters and diagonally (per bend). The line of the partition is usually not visible but designated by the difference in color between them. An example is where the right (Dexter) partition as a yellow field and the left (Sinister) as crimson. Charge – Typically, a central emblem set at the center of the shield on the field, which can be an abstract symbol or the portrayal of an animal, human, monster, plant, fruit, flower, etc. Helm – The position of helm is at the top center of the shield and is typically a helm with stylized and complex plumes draping from it. Like the shield, the helm is shaped and representative of its culture although instead of a helmet it can be the head of animal or beast as well as such objects as flowers or skulls. Motto – This takes the form of a ribbon, banner, or plaque at the bottom of the shield or beneath it. This object bears a saying taken to be a core value to those the coat of arms represents i.e. a family motto. Coat of Arms – A coat of arms is the central heraldry on the shield including the field(s) and central charge. This collection of heraldic symbols is also easy to transfer to other display formats such as banners, flags, or surcoats. 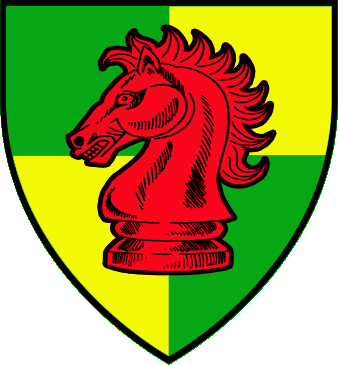 The most simplistic form of a heraldic coat of arms is a charge on a field although there are examples in history of a simple single color field only. The purpose of this system of design and bearings is essentially for identification usually associated with important individuals and families. Heraldry is a form of visual identification and encoded certain information so that observers could identify those bearing it and read certain specific meanings in its symbols. The most common of these would be Unit Identifiers, Origin, and Loyalties. Unit Identifiers are heraldic marks that identify a military unit and its divisions. These can correlate to signal flags calling for and relaying simple orders to a specific unit on the field or to certain signifiers such as honoraria or special awards. The central charge or another secondary charge or even specific color of field can denote from where the bearers have come. It can denote a specific region of an area all the way down to a household within that specific region using additional symbols or certain well-known components. This type of sign can also be unintentional such as when a certain color of dye is limited to a specific region so those nearest that area will make use of the color thus all those using that color are within the limits of a certain, although probably wider, area. This last idea may also give away an imposter to those with the proper knowledge and a keen eye for detail. As a Rallying Point, the standard of a king or commander can serve as markers on the battlefield for their location. Back at camp flags, banners, and standards serve to mark a location for troops to rally around or a place to regroup. It can also help lead soldiers to battle especially when all else is eclipsed by the fog and clatter of war, they have the flag to follow into the fray. Signal flags can signal certain units to carry out their part of a battle plan on the field of war. They can convey simple messages such as move to the front, retreat, fire, or charge as well as slightly more complex signals such as break off and carry out a specific maneuver. This is discounting any kind of semaphore that is. Heraldic marks and partitions can be added to increase the limited vocabulary of signal flags and remain distinguishable from each other. As a war trophy an opponent’s heraldry is unmatched, in effect the victor has stolen their identity. The seized coat of arms serves as a symbol of victory and the enemy’s defeat and remains on display as their shame. Pennants and flags displayed like trophies hung upside down, inverted, or in a certain location such as on a post are common as is the burning of captured flags, which is more an act of annihilation. When displayed in the camp or at home base in any of the previously discussed manners this can serve to diminish the enemy to and improve morale among the troops. Displays of such trophies can also serve to increase the prestige of the one who possesses it especially if the defeated carried a reputation. When a captured flag marched in front of a unit on the field serves much the same purposes and could serve to direct the enemy’s ire at that unit as well. 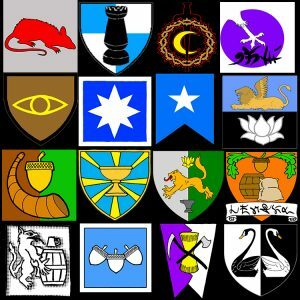 Heraldry and its devices can be used to great advantage within a fantasy campaign. Coats of arms are cheap characterization tool (a la cliché representations of character), serve as mnemonic devices for places, people, and organizations, as well as all the previously mentioned conventional uses. As symbolic short hand, heraldry can communicate heaps of random game info to Players and their characters. As a cheap characterization tool is relates to the old cliché of skulls and black for bad, and white and feathered wings for good or vice versa using the wolf’s in sheep’s clothing cliché. The more complex and showy a character’s coat of arms then the more powerful they are or the more of a blow-hard, perhaps both. 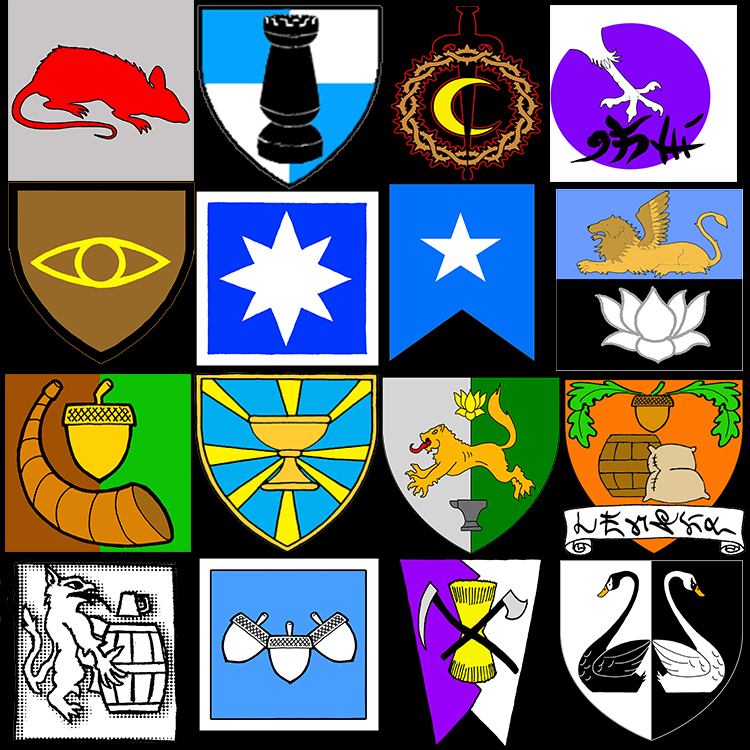 However, heraldry can use its own language of symbols and colors to imply certain characteristics such as lineages with arcane power, necromancy, bad histories, disagreeable personalities or historically very agreeable ones unique to your game world. 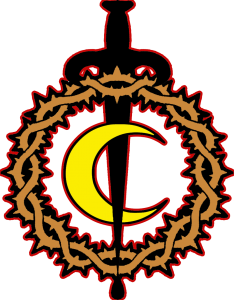 Heraldic symbols carry reputations with them as well as symbolizing power, heritage, or other such things within the culture and from history from which it takes its images and symbols. Images are easier to remember especially brightly colored designs than just names even of individuals. Therefore, heraldic devices help to memorize reputations, lineages, organizations and the ranks in that organization. This is especially true in a region or world with limited literacy. In such societies, a family crest is indispensable in proving who you are by proving your relations. Heralds may keep rolls of diagramed records of coats tracking the evolution of the heraldry from person to person thus creating a sort of genealogical history of symbols. 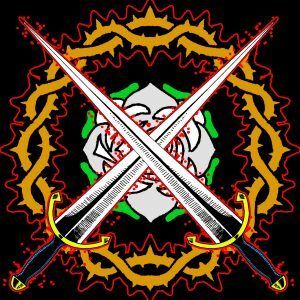 Heraldry can help a GM to build their world and link its internal elements together through association. As previously mentioned it also carries additional, honestly sometimes extraneous, information to the PCs. Symbolic representations of a culture or group used in related individuals’ arms deepen the game world by displaying their relationship and even occasionally the nature and mood of that relationship. Heraldry adds in bright colors and may even allude to a deeper connection with those it represents such as the previously mentioned origin of the bearer through intention or the use of rare dyes/pigments or unusual symbols. It can act as set dressing especially useful in emphasizing the scenery of such events as tournaments, duels, negotiations, encampments etc. the bonus being this set dressing hints to the greater world outside to those who can read their symbology. The development of symbols unique to your group incorporated into the heraldic language is a definite option that you should use. This creates unique heraldic devices that carry special meanings found only on that world. In addition, you can encode PC actions in coats of arms either as a record of lineage or permanent symbols of that PC’s legendary victories commemorated within their family crest. 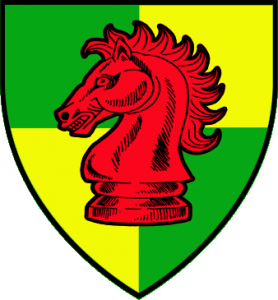 When used in a game heraldic devices and symbology can convey vast amounts of information to players at a glance and deepen the psychology of the fictional world. This is true whether that information is genealogy, reputation, origin, history, military rank, unit demarcation, or as a cliché characterization tactic. This is especially true when the GM and Players have created their own index of symbols and put thought into why someone would use these symbols as an emblem or collection thereof that serves to identify them personally and sometimes spiritually. Using heraldry of any sort in your game adds a language of color and symbols allowing for greater communication with players through the game itself and adds a touch of realism as well as some arresting visual flair. The ratlings, Afheesh (played by me) and Wufcor (played by Isis) stood in the front ranks of the city guard of the White Rose Well smart in their uniform green cloaks with obsidian leaf clasp. They were in formation to the northeast of the White Rose Well in the plaza before the White Rose Perfumery dozens of feet away from the well. Captain Fenom wearing an open helm with a bright green and gleaming black feather plume was over by the well talking with the human duelist, Pabst (played by Jenn). The ratling quickling, Afheesh, strained to overhear them as the captain’s subordinate, wearing an open helm with a bright red feather plume, maintained the formation. As a result, the ratling could see that a shiny new great sword hung on Pabst’s back. “That’s new”, he thought. The captain passed Pabst two potions, a Bull’s Strength Potion and a Cat’s Grace Potion to drink on the spot. Apparently they were had some sort of delay effect brewed in. It was not long before another company of Tanglethorn guardsmen marched in from the east cloaked in brown with a yellow lotus circled by black thorns on their backs. Their leader had on a bronze open helm similar to Capt. Fenom’s but with bright yellow feathers mixed with black. The opposing captain’s second halted the incoming march only a dozen feet away from the well. For a split second, there was a strained silence as the dust settled. Bronze chest plates reflected the late morning sun as it glinted from the shining tips of steel pikes and polished bronze helmets. The yellow lotus captain strutted over to captain Fenom removing his helmet as he neared. Their opens palms smacked together then they squeezed, their knuckles creaking. Then they began to speak as Fenom dismissed Pabst whom rejoined her comrades at the line. The yellow lotus captain raised his right arm and shouted, “Agreed!” He then motioned for his champion to come to the well. From behind the ranks of the yellow-lotus-guard emerged a short vicious looking human. He was wearing a bronze pectoral plate, bronze bracers on his forearms and a steel buckler on his right arm. He had paired dirks. The yellow lotus champion, obviously a knife-fighter, struck with a double dirk attack, Pabst tried to parry both thirsty blades with her buckler. However, she had opened herself up and both blades struck home (she rolled a Natural 1). Pabst backed off to recompose herself blood gushing from her side (recovery roll). Showing a razor-tooth grin, he let her take a breath. She moved back in and retorted with her sword but he parried with his right and struck again with his left opening another nasty wound in her belly. She struck out yet again but again he parried and slashed. This time she parried his retort and countered. He parried and stabbed but she parried the blow. Pabst charged and hacked at his head, he parried the blow. He struck out at her she parried and countered. He parried that blow and stabbed at her throat, she parried, barely. The two opponents circled one another like hungry beasts searching for any opening. She attacked again but fumbled the strike accidentally tossing her weapon several dozen feet away. Without missing a beat, she immediately drew her back up weapon, her brand new two-handed great sword. Pabst leapt back and struck hard with her great sword cracking through each of the knife-fighter’s ribs like a butcher against a rack of beef. A long ribbon of blood streaked his side and gushed onto the ground. He retorted with a masterful stroke that awed all onlookers (a natural 20). Pabst’s companions stood frozen with horror. Suddenly, she parried both blades with a single sweep of her buckler (natural 20 parry) then immediately struck at his bared ribs burying her blade to the hilt deep in his heart. His lifeless body flopped to the dirt. She withdrew her weapon from his mutilated chest. Both companies were struck with silent awe. Then captain Fenom and his men roared in victory. Later that afternoon the ruthless trio was having drinks in the Thirsty Thorn Tavern. Pabst was still was still worse for the wear but seemed not to care at all. Captain Fenom had paid her 10,000 bronze thorns (bt) for championing his cause. She had also told him where she was staying, at the Yellow Lotus Inn, in case he needed her again. Wufcor was a little annoyed with this as he was also staying with her and was nervous about the city guard knowing where they were sleeping. The three villains ate stew and bread and guzzled the bottle of expensive wine shortly thereafter. Pabst and Afheesh caught a nice narcotic buzz. Wufcor on the other hand, passed out felled by the powerful wine. The remaining pair drank until the early evening when they left with Wufcor piggyback on Pabst. They began walking back to the Yellow Lotus Inn when suddenly they heard warning bells ringing. When they looked in the direction of the sound, they saw a massive insect swarm like a thundercloud descending on the city from above. The trio immediately beat it to Pabst’s room at the inn and made sure the door and window were shut and sealed. They tossed Wufcor into a corner. Several hours later the all clear signal rung out and the trio, never ones to miss an opportunity, went out into the streets to see if they could loot anything from among the carnage. Wufcor was still a bit groggy. Of course, it was not long before they ran into a small cadre of gang members, Bronze Boys. The gangsters, like the trio, had found nothing on any of the bodies lying in the street. Afheesh pulled his weapons in response, Wufcor did the same and Pabst began to laugh as she pulled the great sword from her back. A group of dirty, battle-beaten warriors surveys the smoking battlefield and its human wreckage. A ruined plane-scape littered with the corpses of soldiers, horses, and other unfortunate beasts, the soil turning into black mud as it mixes and congeals with their spilled blood. The war engines are shattered and the wagons destroyed. The remnants burning blackening the sky with choking smoke. The few of their war banners still aflutter in the cold winds of failure are in tatters. However, these warriors are not the villains’ but instead the Player Characters’ (PCs), the dead that litter the field are their soldiers. Their army is devastated and will never be whole again. The PCs dreams lie broken, their military power crushed. Now is the time for quiet contemplation, for introspection. How one endures victory and shares its spoils is less important than how one accepts failure, this speaks to one’s true character. The tactical disaster on the battlefield can expose PCs to something they may not always experience, absolute loss and failure. The failure should be their own, it is through their decisions or the decisions of those that they have allowed to remain in charge have led to this military disaster. This utter failure not only impacts the Players but their characters as well. It can lead the Player to expose more of their character in the game in how they deal with it, through blame shifting, self-martyring, anger, emotional instability, explosion of energy, etc. In game, this failure becomes the fork in the road and forces the PCs to take some action, any action. The victory of the enemy changes the atmosphere of the world if not its landscape. Doom and darkness hovers thick in the air clouding the future the PCs had envisioned. The enemy is now on top of the world and the PCs brought to earth. However, the Players and their characters need not lie down and call it a day. It is time to struggle down the road ahead. Failure is its own adventure where the PCs must find themselves before the end of that journey. The effects on the Player and their characters bring us to ask what exactly constitutes a Tactical Disaster. A Tactical Disaster is an overwhelming loss of a combatant’s force to their enemy with overall strategic repercussions on the war effort with little to no chance of recovering the shattered force. This disaster has not only crippled the participatory force but also compromised its cause bringing total failure of that cause into vivid clarity. Essentially a tactical disaster is a lost battle that ruins the main military force and the repercussions threaten its primary cause. It begins with a single or series of fatal decisions. Bad Decisions can be a fateful decision to attack, failure to call in reinforcements or the failure to know that the enemy had additional reserve forces as well as being outmaneuvered due to commander inflexibility or failure to answer that maneuvering effectively. A good historical example is Napoleon invading Russia suffering the devastation of his most experienced forces. He followed that up by a series of smaller mistakes in Waterloo. Of course, Waterloo was the beginning of his end as well as the end of the Napoleonic Empire. With PCs, their Waterloo may not be their end but a climax to some specific wants and plans. An overwhelming loss on the field is also a defining characteristic of a tactical disaster. The losing force has been decimated suffering mass casualties including those that are crippled, those whose military careers are over, and those who have run away, deserters who will never rejoin the losing side and may in time become a problem by themselves. This is due by their surviving by raiding and robbing after all, there is no more military salary. The victor may not recruit Ex-soldiers, as their level of loyalty may be in question. The resources that went into building, recruiting, and outfitting the Players’ force are essentially spent or were a one-time luck out. These resources are gone including the loss of life and that loss cannot be recouped limiting the PCs ability to not only reconstitute their lost force but any attempts to build a new one at least in time to win the current conflict if it isn’t already lost. The term resource also applies to allies and any political favors or political cache spent in raising and deploying the PC army. Remember their defeat on the battlefield has changed the political landscape. Former allies may turn coat or themselves be defeated in a sooner rather than later “clean-up” campaign by the enemy. In fact, a mass of bloody assassinations may devastate the political landscape shortly after a massive defeat. There will be a turning point during the battle when the disaster will become evident. This moment is critical and alters the course of warfare. It changes the path that the PCs traverse through the landscape of war dramatically. The landscape of war is what lays before all the characters during battle and it has its distinct phases that are altered when a Tactical Disaster is in the process of occurring. These phases are the Face-Off, the Battle proper, the Aftermath, and the Consequences. Note that the path that the characters “hopefully” will try to traverse is that of Strategy and that the GM should try to work in a Twist in the latter part of the Battle proper. The turning point may come in the middle of the battle phase or at the twist wherever that falls. A Tactical Disaster deeply effects the final two phases (aftermath and long-term consequences) although it can already be evident that the PCs are going into a losing battle especially after a fateful decision either before or during the early stages of battle. The aftermath phase of a battle will be the first major turning point after the incredible loss on the field. The PCs will most likely be forced into retreat and thus the struggle while on the run to escape capture (being highly valued targets) becomes the focus. With these practical game events, a good GM does not shirk the atmosphere to set the mood and bring the internal of the Players’ characters to the surface. This setting of atmosphere should come during a brief lull after the battle where the Players are surveying the ruins on the field. Take the time to build an atmosphere of somber tragedy or energetic desperation while on the run. The cliché of hiding in a barn after a desperate dash for freedom is another prime time to go heavy on atmosphere and give the players some quiet time. Hopefully the first lull should melt into a quiet time of self-reflection. It should give time for reflection. The PCs should get an assessment of the depth of their failure. If they cannot survey the field, the tragedy of their failure should become evident in other ways. After this reflection time, the GM should improvise something that will present as an opportunity for the PCs to leave behind their failure at least temporarily. Give the PCs a way out, a safe place where they can rebuild themselves. Even if it is a long diversion from what was the main thrust of the campaign assuming that the battle was a part of this focus. Reflection time may also guide the PCs attentions towards the consequences of their disaster. The consequences can be a litany of negative situations/scenarios coming one after the other. These could be the retreating remnants of the smashed army becoming highwaymen or small bands of raiders with some working their way home leaving a trail of disaster. This consequence may carry with it a compulsion on the part of the PCs to fix it since it was unquestionably unleashed by their failure. There is also the matter of angry relatives or communities from whence the lost fighters originated. This frustration and grief-based anger would be directed at the PCs for their folly, which cost them their sons, daughters, lively hoods, etc. The PCs may share the brunt of the blame for any misfortunes that may follow as well. These either as direct results of the Tactical Disaster or those that happen indirectly even those that are completely unrelated to the loss but are coincidental. A tactical failure and following battlefield disaster can not only tear down a character exposing their innermost workings but also help to build upon what is left. This demonstrating how they are recovering and what lasting lessons or effects they take with them. A tactical failure is an exercise in character building and players should not shrug this opportunity. More so than a victory, this allows Players a vast panorama to role-play through to a new horizon. How the character reacts or deals with their failure helps to expose and build that character’s internal mechanisms deepening their personality thus engaging and endearing that character to their player. This can also help the other players and their characters to bond more closely to that character or at least relate better with that character and their reactions and motives. This type of character building is dependent first on the GM. They must present opportunity after they have left the characters to wallow a bit in the aftermath of their failure. After this, the impetus is on the players to act on these opportunities or react to them as well as to their failure. Do the PCs leap to action, do they have a plan, or do they retreat abandoning their former aspirations or to seek them elsewhere? These are the types of questions the Players should be asking of their characters. They should actively be trying to answer these questions. Of course, they should also be asking after their followers and their own reputations, as should the Game-Master. Failure may turn a PC’s followers against them dramatically affecting their ability to command. This forces the Player to role-play the situation to try to recover their influence or even to maintain their position as head of the army. They will carry the reputation for disastrous failure and any followers are sure to rethink their idolatry at least temporarily regardless of the gravity of the PCs personality. Savvy Game-Masters can make good use of a Tactical Disaster. It serves as a stumbling block that forces the Players into a mode of pure role-play, can motivate the players into pay-back mode, and/or cause the campaign to take a new byroad through exploration of what went wrong in the first place. As an obstacle the failure can demoralize the Players however, this also allows for character growth based on their reactions to their loss. It may also force introspection, hopefully not just strategic either, on the whys of their failure and the consequences sure to follow. Another aspect to keep in mind is the manner in which they may grasp at an opportunity brought about by their failure or those that may lead away from it. How did a specific PC react to hitting this stumbling block, did they curl up in the fetal position, did they cry, did they stand back up and dust themselves off but still shed a single macho tear? The Tactical Disaster can also spur the PCs to try harder or desire some well-earned payback against the victor or those they have come to view as primarily responsible. The PCs may even take any chance for petty revenge. They may try to track down some distant allies or retreat to a specified location in order to regroup, plan, and gather new resources. This will inevitably lead them to question their actions and the manner of their loss. Player explorations of why it happened should be encouraged even in meta-gaming fashion and then guided to translate those thoughts to their characters. They can run scenarios that could have granted them victory or they may discover that they could never win or even that they were betrayed or find the element that defeated them. These exploration sessions will help the Players and thus their characters come to some conclusions and allow them to come to a point of action or at least decision so that the game can move on. Whereas victory can stoke the ego, a failure lays a soul bare. A victory has its own burdens to bear especially the inevitable fall from the elation of a win to that of normalcy. Failure on the field of battle is a much heavier thing. An utter failure will strip a character of any pretense forcing some sorts of introspection at the very least forcing them to ask what went wrong. The characters when given a chance by the GM will make the decision to react, act, or take the game in a different direction thus altering and building their in-game personae. A failure in some ways is more valuable than a victory and somewhat more useful to the GM. When PCs are first brought to their lowest point their ultimate victory is accentuated. Along the way they would have traveled a road that transformed their characters and deepened their understanding of them and the game world. The ratlings, Afheesh (played by yours truly) and Wufcor (played by Isis) took a corner table at the rear of the Green Bottle Tavern. They had crept in unnoticed by the barkeep and trio of patrons. Pabst (played by Jenn) had ordered a glass of Assassin Vine Wine and a pitcher of ale. She chatted up the bartender, his name Neelneez, Neel for short. The trio was seeking Captain Fenom’s promised bounty. Not far from Pabst, the barfly druid eyeballed the interior of his empty jack. She invited the elder over and shared the pitcher with him. He was grateful but had no information. Disappointed she looked over at the pair of Green Well apprentices further down the bar. They were embroiled in a drunken conversation and thus paid her no heed. Seemingly, in reaction to her gaze they moved to a table further away. Observing from afar, Afheesh took the initiative and darted around the place unseen and under the apprentices’ table. The pair was gossiping about another apprentice they did not like, one that was to be promoted to Journeyman in the guild. It took some time but eventually they mentioned his name, Phenox. Immediately Afheesh darted from the table over to Pabst and relayed the info. She lithely rose from her spot next to the blubbering druid and approached the apprentices’ table with a fresh jug of wine. However, the first of the pair was rude and the other laughed waving her away. Afheesh who had already stolen under the table unseen pulled one of his weapons and jabbed the tip into the rude one’s crotch. Pabst calmly talked with both of them trying to get the whereabouts of her target, Phenox, from the pair but they did not want to see their “brother” dead. Afheesh pulled his second weapon and jabbed it into the crotch of the second apprentice. He drew a drop of blood from both with the razor points of the weapons. Pabst (amused): “Seems my little friend under the table is getting impatient.” She waved at Wufcor to dissuade him from slitting one of their throats from behind. Eventually they gave a detailed description of Phenox and revealed that he would be at this very bar later that evening to celebrate his promotion. Shaking, the rude apprentice chugged down his jack of wine. Pabst dismissed them both with a casual wave of her arm. Both of them bolted for the door. Afheesh and Wufcor went in silent pursuit. Pabst joined the hunt after the pair had cleared the saloon doors. The hounded pair had split in different directions Pabst pursued the rude one. Afheesh and Wufcor chased the other. He made it as far as the vine-covered wall that cordoned off the grounds of the Green Well from the rest of the city. He hit a patch of shadow and that was when Afheesh leapt at him with both blades. It was an instant kill. Wufcor looted the body. Later, the pair of ratlings rejoined Pabst in front of the Green Bottle; she had easily done in the other apprentice when he turned down an alley. Pabst wanted to wait in the alley across from the joint for Phenox’s arrival. However, Wufcor wanted to sit and drink in the Drunk Lotus until dusk instead. It was north of the Red Lotus Well and a place run out of the back of an apartment building with the benches in the alley behind with a canvas tarp overhead. Afheesh surmised the place had the worst grog and gruel in the city but it was cheap, a few bits for some drink and “food”. The trio stayed there until dusk. They went back to the Green Bottle and found the place crowded and jumping with perfumers, there were many green robes. The guest of honor of a party near the bar was one Phenox newest journeyman of the Brotherhood of the Green Well. A polished gold medallion hung from his neck inscribed with the image of a lotus and set with emeralds gleaming as it dangled on his chest. He was soaked with ale and wine and sloppy drunk as various patrons had been buying him drink after drink. Afheesh darted over to a place at the bar. For a lark, the ratling paid 25gp for a shot from the green bottle for Phenox. As the bartender handed the glass to the journeyman, he turned to point out his beneficiary but the ratling is gone. Shrugging, the young man took it down and the whole place erupted in celebration. He was still standing after a sip from the green bottle! Shortly after that, Phenox stumbled drunkenly out of the bar, alone. The murderous trio swiftly followed. As soon as he neared the first dark alley, Pabst rushed him into the trash-strewn narrows. Afheesh and Wufcor then made quick work of him. Pabst hacked his head off and bagged it. She also pocketed the gold medallion. After their red-work was done they hightailed it straight to captain Fenom. The rough captain pulled the head from the bag and mocked it slapping its cheeks. He was very pleased with the three brigands. The captain tossed a sack filled with the bounty of 9,000 bronze thorns. After the split, the brigands were each parting with 3,000 bt. The three shrugged and parted ways after leaving the captain’s office. Afheesh wandered aimlessly through the streets of Tanglethorn for a few hours until he turned a corner and found himself face-to-face with a large troll. The creature was gigantic in comparison to the little ratling. It was wearing scale-mail armor and carrying a massive iron maul. The hammer had a skull wearing a fang-lined grimace inscribed on the flat. The ratling was thinking of running but his legs would not cooperate. Afheesh wanted to disagree but was still easily bullied into assisting the troll in his wife seeking. He had to climb storm drain pipes, peek into windows, and peep over walls all at the end of a rope tied too tightly to his tail. He seriously had considered hacking through his own tail to get away but just could not bring himself to do it. The troll kept him at this fruitless quest until just before dawn. 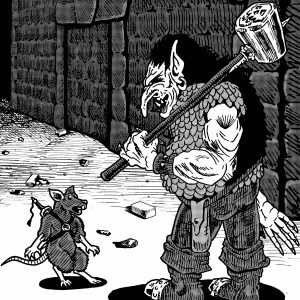 Right before the sun rose the troll let the ratling go free and sank into one of the wells, Afheesh did not take note of which well. 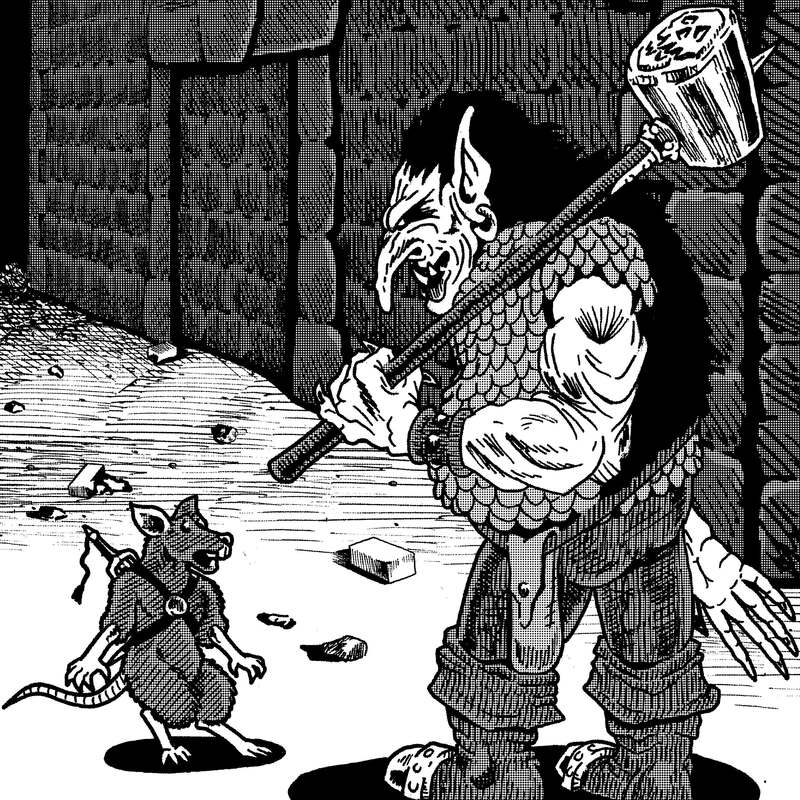 The ratling ran back to the burned out temple. He was able to fetch a couple of hours of sleep before he had to rush to meet the other two at the captain’s office at the White Rose Perfumery. When he finally made it he saw that the captain and his men were fully equipped and in formation. The ratling’s partners were standing next to him wearing the same cloaks as the rest of the guard, green with an obsidian oak leaf clasp. Their expressions did not fill the ratling with confidence. The captain turned towards the ratling. He motioned a subordinate who handed him a small version of the same cloak. The black and green plume in the captain’s helm fluttered in the slight breeze as he held out the cloak to Afheesh.